This week we have a very elegant theme from a very extraordinary themer, FIF7Y. All themes always revolve around some central theme of their own. If it doesn’t, the theme would be a mess of random SpringBoard icons, un-matching UI icons, as well as being unpleasant to look at. Some common central themes are OS, colorful, and different shaped icons. Noki moves away from those and goes toward a different approach, white. Noki is a white based theme designed with the white iPhone in mind, but it also looks great on any iDevice. The icons are very unique and beautiful. As you can see from the pictures below, the SpringBoard icons below have a central theme of white, but it is still colorful and pleasing to look at. 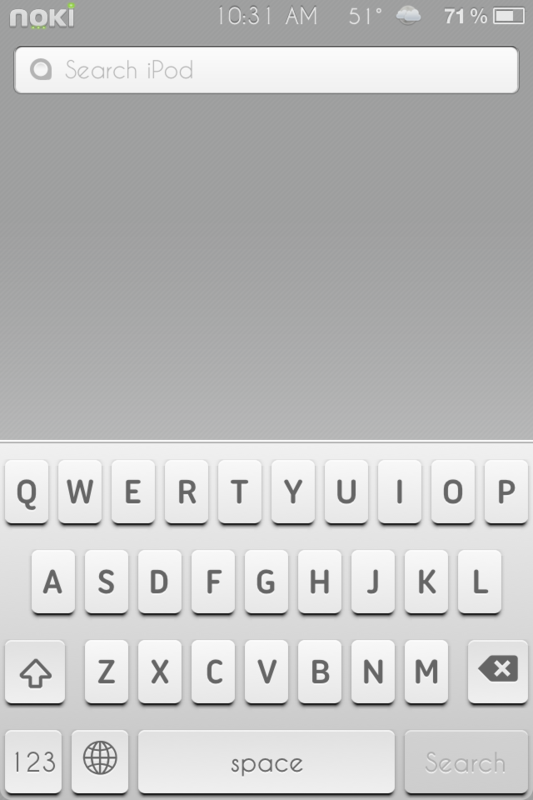 There is also a ColorKeyboard theme to match the icons as well as UI icons. I also believe that what makes a theme great is the community. Noki has a huge community supporting it and there are constantly new, user mods being rolled out, such as widgets, icon modifications, as well as the main layout of the theme. 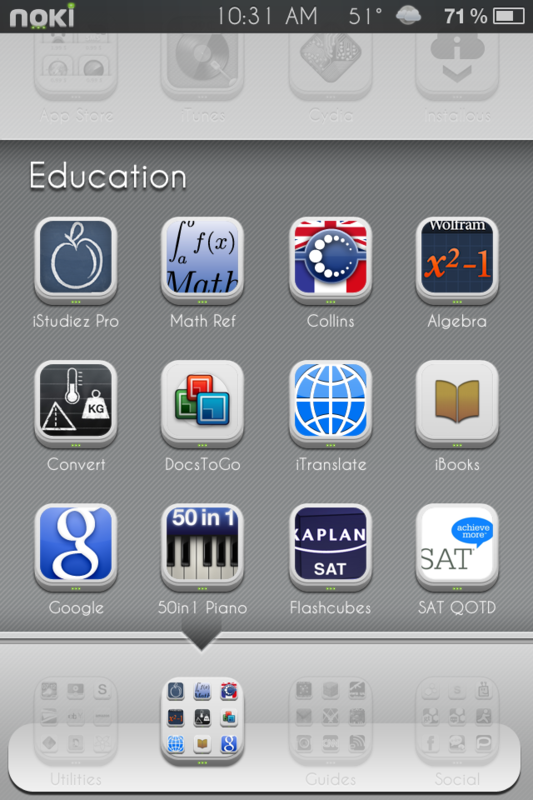 You can find many modifications and add-ons to the theme on the ThemeIt app as well as the ThemeIt blog. Here is a link to the official user-mods page on the ThemeIt blog website – blog.themeitapp.com Using this, I have given my SpringBoard a darker wallpaper to contrast the white icons as well as a nice weather widget in the center. Users may purchase Noki in a SD or HD version for $3.00 on the ThemeIt app. This is going to cost you more compared to other themes, but it comes with a strong community supporting it, as well as many different widgets and layouts to make your SpringBoard truly unique and one-of-a-kind. Of course before purchasing, I recommend you look at all of the screenshots on the ThemeIt app to decide if this is the theme for you. Leave your thoughts in the comments section below with suggestions for more themes that you think deserve the “Theme Of The Week” title for next week on iJailbreak.